On Sunday, May 24, Don and Paul, two professors from the Business Department of Madonna University, Livonia. MI, came to visit us in Jacmel. They came to us from Port au Prince, where they had been recruiting new students for their business program through Haiti Tech. 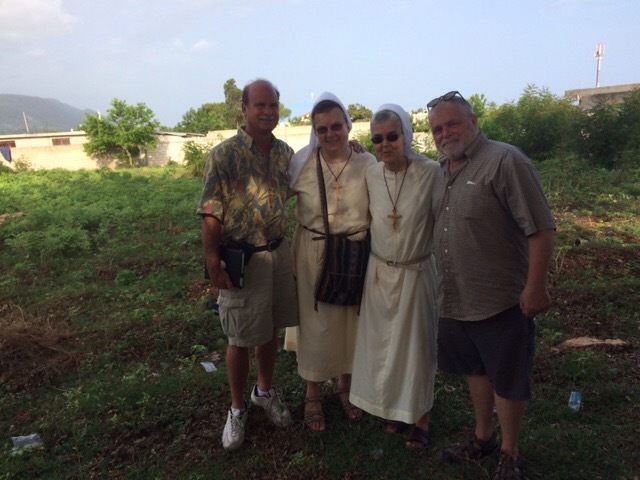 They are visiting Jacmel, looking at the possibility of partnering with the University of Notre Dame in offering a program in hotel management. The country of Haiti is trying to rebuild its tourism. We are happy that the Felician mission is extending its presence through our universities. That’s wonderful! I’ve thought about this – people travel to the Dominican Republic for vacation – which is part of the same island that Haiti is on. Haiti should be a tourist destination as well. I hope this endeavor is a success! Praise the Lord! It is always good to hear from you. Hope all is well with you.